With ground thawing, we are able to perform work year round. 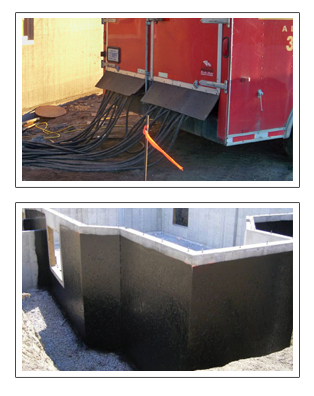 Reduce Moisture related problems with our foundation coating backed by manufacturer warranty. CMM offers a waterproofing product that can be applied at any temperature to poured walls, masonry walls, commercial applications and residential foundations.